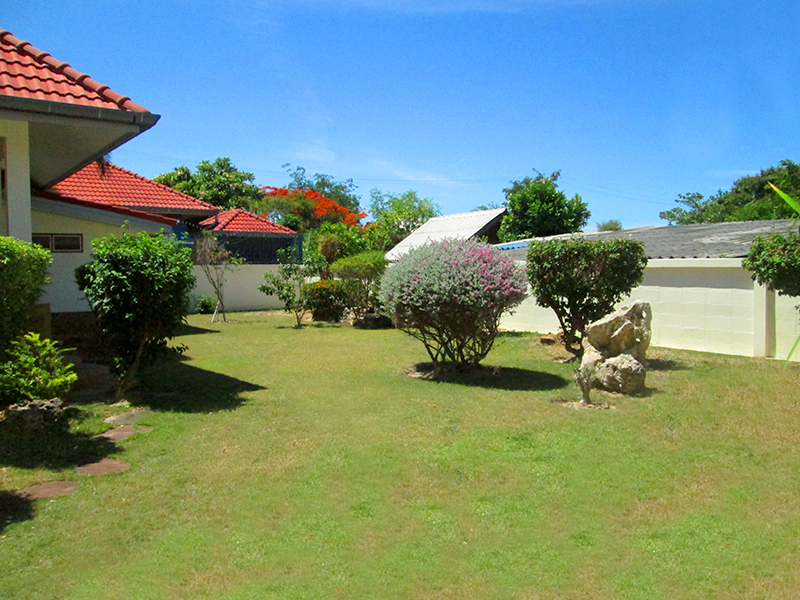 Superbly nestled in an open community within Hua Hin. It is the ultimate location to be with just enough distance from the City and just enough calmness from the Mountain side. It is a 5 minutes??? drive to the beach and 6 Kilometers from Hua Hin's international hospital, Shopping complex, Thai-international restaurants and a soon to open water park, one of Asia's biggest. The 486 square meters plot of land is generously laid out with a possibility to build a private swimming pool at the back. ? ?With Clay-styled Mediterranean floor tiles, comfortable wooden furnishings, and a warm-colored wall paint help creates the ???homely??? feel to this property. ? 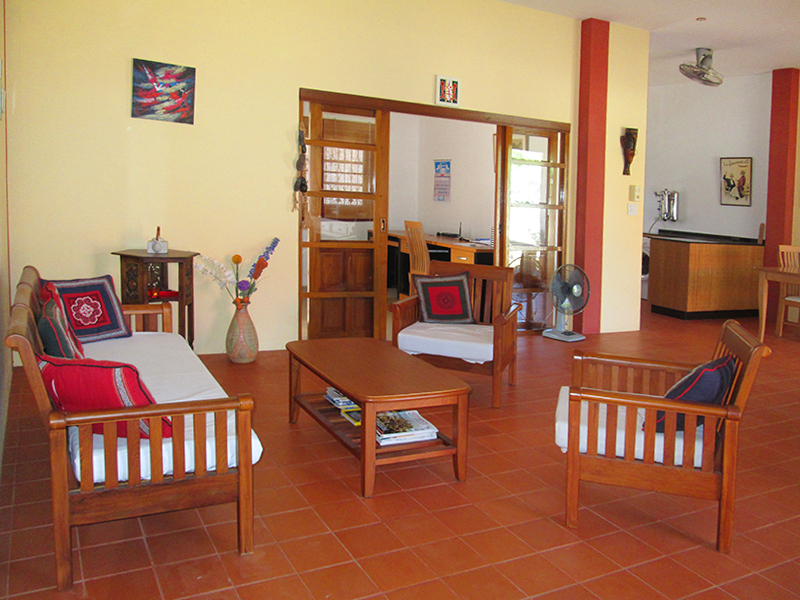 ?The living area has a direct access to the outside terrace that overlooks the vast garden area. 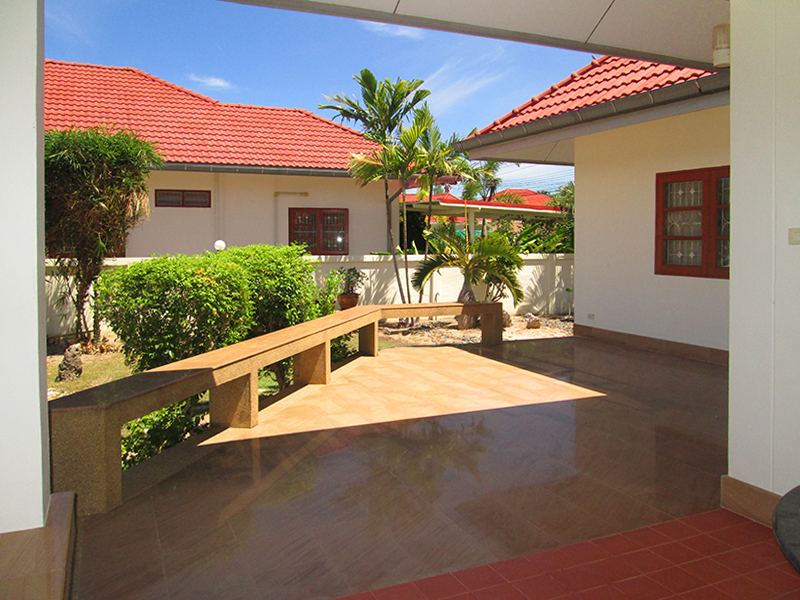 Also, you could easily be working in the provided office room and take a quick pause directly onto the terrace. The modern kitchen is small and simple, very hassle-free completed with an electrical stove, laundry machine, water filtration and fridge. 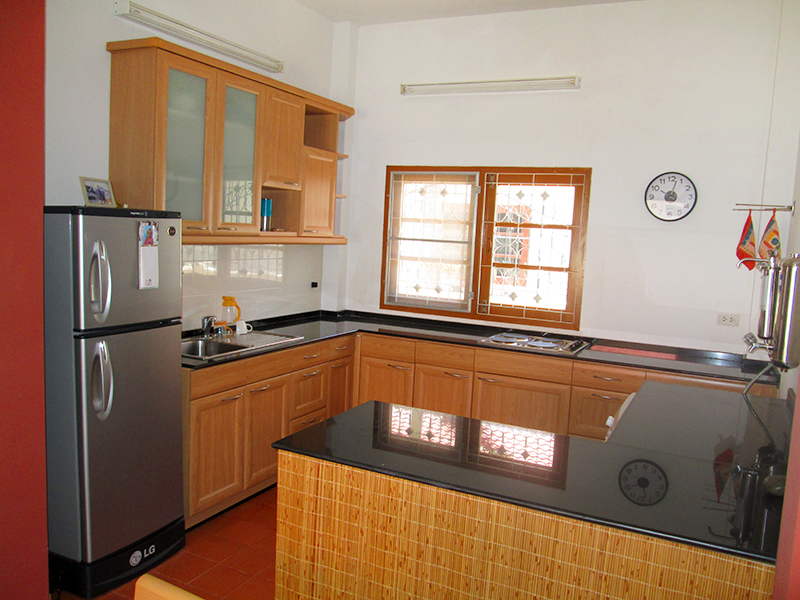 The dining table is conveniently placed near the kitchen perfectly suited for 4 people. 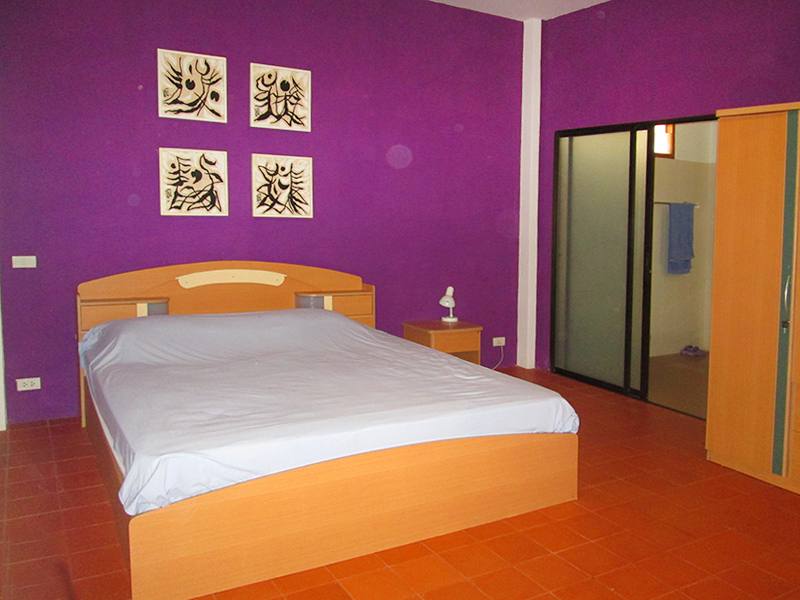 The colourful master bedroom has an en-suite bathroom, good size closet and a wonderful garden view. 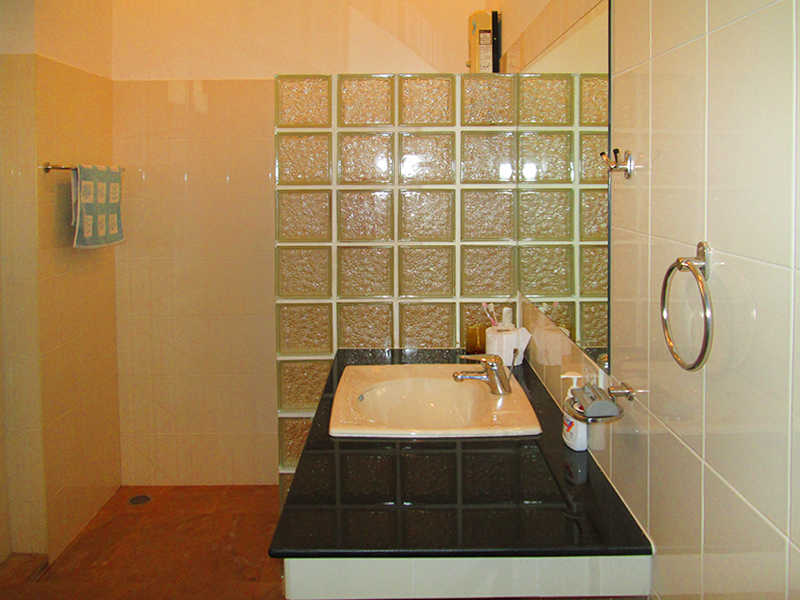 There is a shared bathroom close to the 2nd bedroom which consists of 2 single beds. 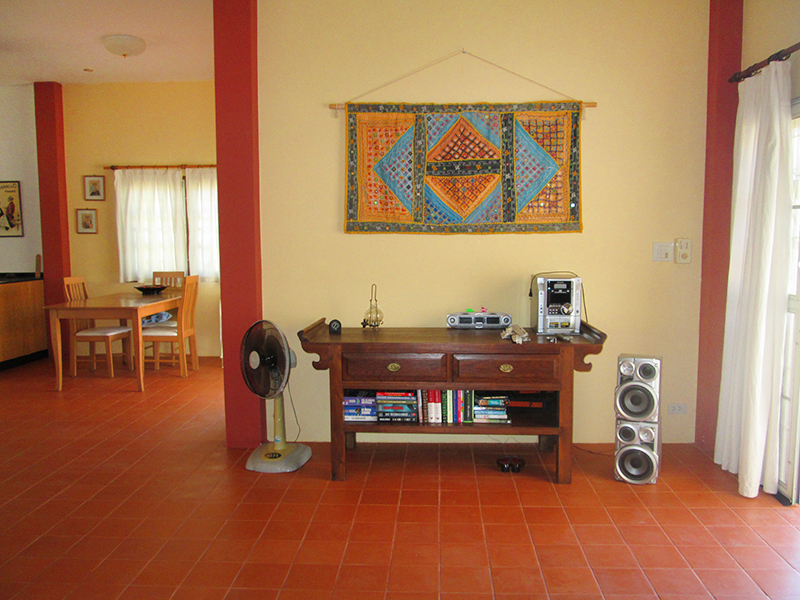 You could invite family or friends over to stay and enjoy your lovely house together. ? ?The available store room space is also ideal for keeping luggage. Not only does this house has its own private parking space in front, it is secured with a wall around the house and large gate entrance. 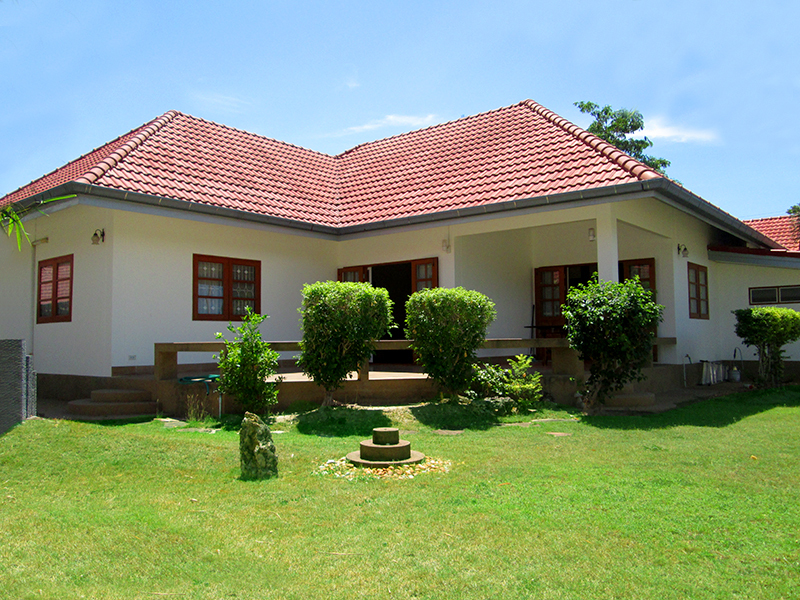 Enjoy the calmness that this property brings and the potential in its land size for such a bargain price, this house definitely worth a second look!?? ??? ?